In my next life, I want to be a manta. I’ve always said I want to be a Kobe cow, so I could drink beer and get massaged all day. 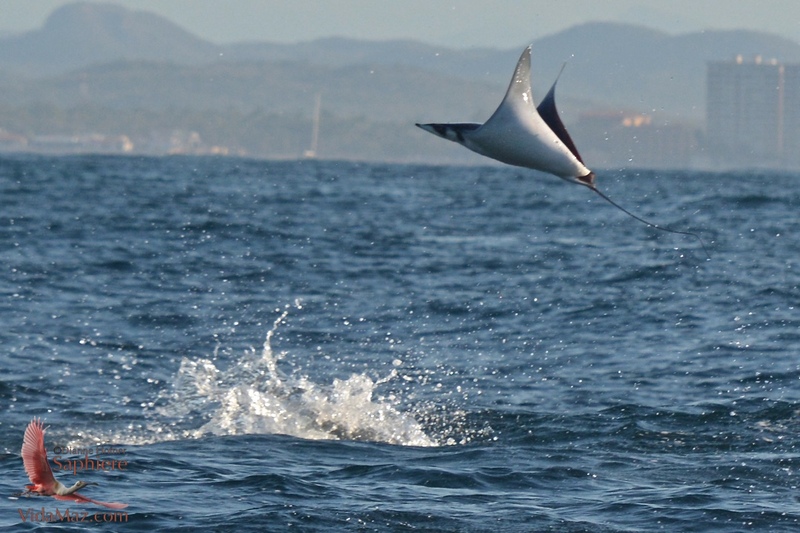 But, in 2015, I hereby declare that being reincarnated as a manta ray looks oh-so-much more fun! We went out whale watching this week with Onca Explorations. Whale watching has been our traditional Christmas gift to each other as a family since 2009. And a wonderful gift it is! 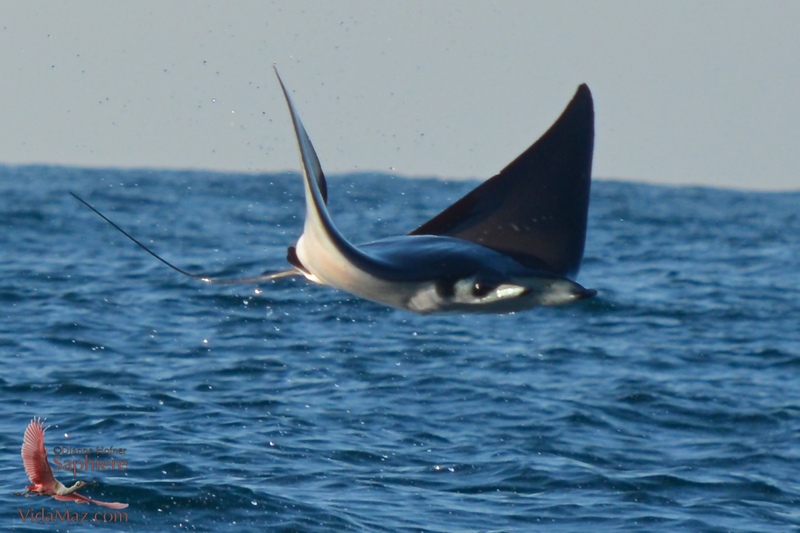 The highlight of the trip this year for me were the mantas! We did, indeed, see whales; I will post pictures and write about that separately. But the mantas! 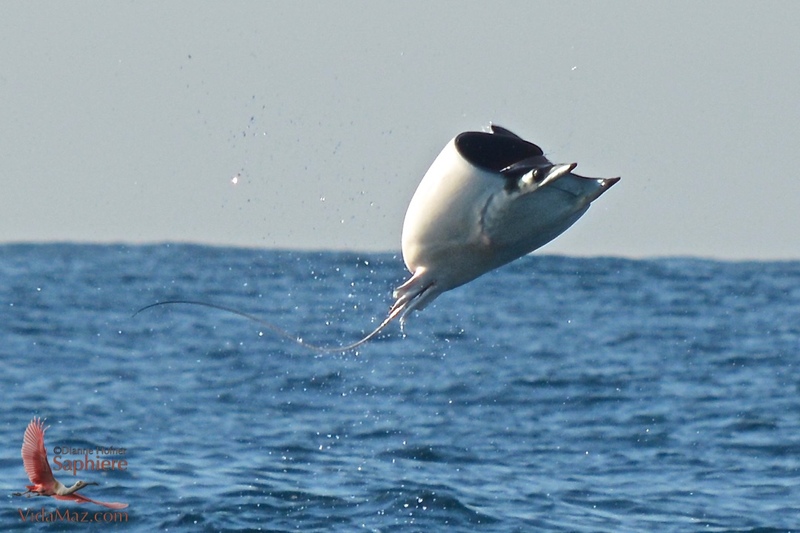 The mantas’ bodies change so completely with every leap. 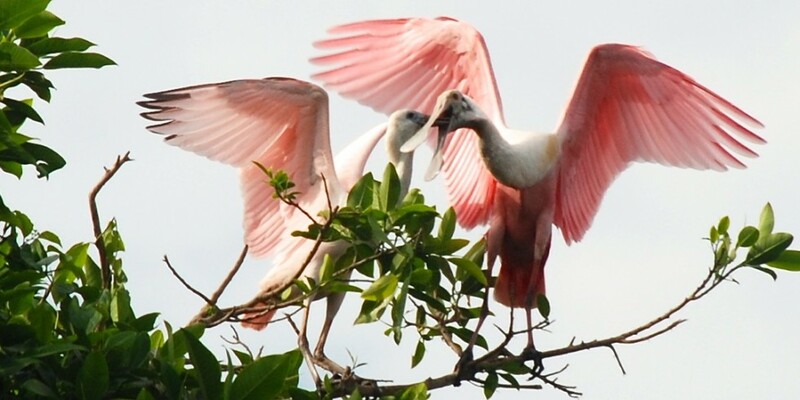 They slap their wings against the water in a loud “thump!” That slap launches them into the air, where their wings curl up the opposite way, wrapping themselves backwards, in a rebound of sorts. They leap into the air—seemingly soaring over the skyscrapers on the beach, as you can see in the photos. They then fall back into the water with another loud “splat,” and start the process all over! And they do all of this in the company of hundreds of their joy-filled friends, frolicking about in a big band of craziness. 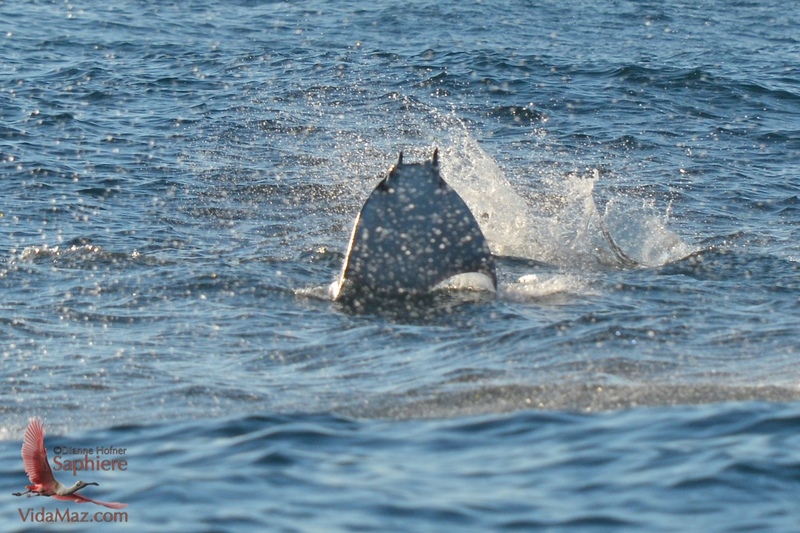 And did I mention that mantas are HUGE? These looked to be maybe 3 or 4 feet across, and they get much bigger. 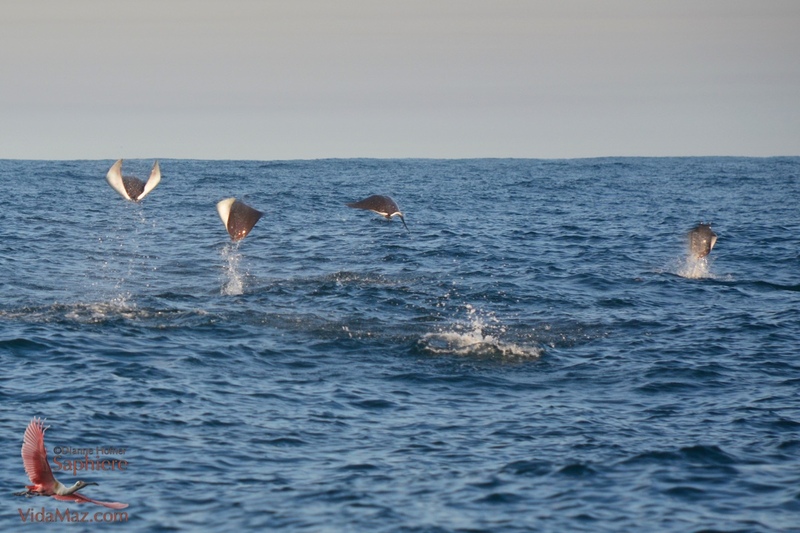 Below is a short video clip of some of the manta merriment. I highly recommend you take a whale-watching excursion with Onca. Maybe, if you’re lucky, you’ll get to see some mantas! 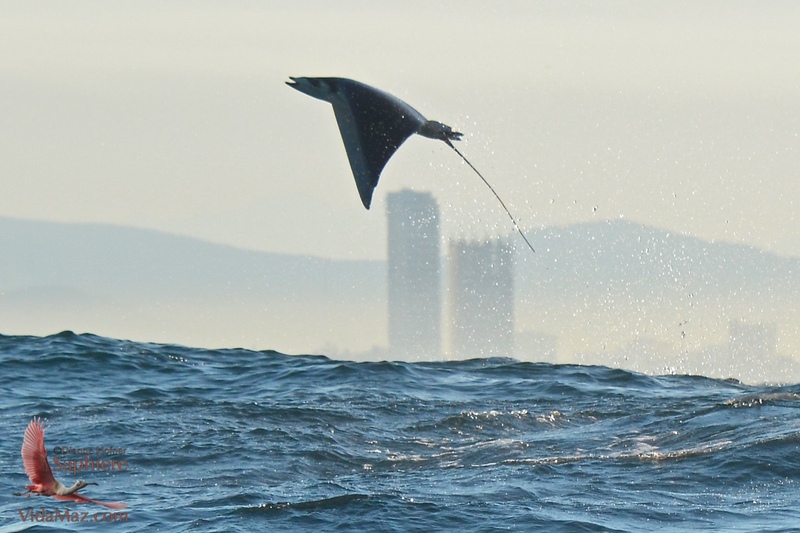 What makes the mantas leap so? Are they mating and courting, and perhaps the manta with the biggest splash is the sexiest? Are they just having fun, partying hearty with their friends? Are they wanting some Vitamin D from the sun? Whatever the reason, I sure did enjoy them! Click on any of the photos in the album below to view it larger or see a slideshow. We have a different adventure each time we go out, that’s for sure, Cathy. We love this trip! I´m so glad you´ve enjoyed the trip. Hope to see you in summer. Saul you were a wonderful guide! Your passion for the cetaceans and the environment really show through, and your care of all of us is always so appreciated. Un abrazo amigo! It’s a wonderful trip, Alana. Your friends will love it. Enjoy! Another awesome post and trip! The photos are beautiful. Looks like it was a wonderful trip! My motto is if ya can’t be in Mazatlan the next best thing is Vida Maz…it is like being there! Love your motto, Connie! Thank you for the feel-goods! It is always a wonderful trip with Oscar, Saúl and crew. They are so knowledgable, and they really respect the wildlife and the environment, so while we get to go out and view these creatures, I have never felt we are harassing them or interfering in any way. They have, in the past nine years, catalogued so many cetaceans and contributed so much to knowledge of their movements and habits around Mazatlán! Onca is most definitely uno de los orgullos mazatlecos. Pingback: Modern Dance This Weekend | ¡VidaMaz!